When you apply for a checking account, banks look into your financial history using one or more credit reporting agencies. Opening a bad credit checking account is one option if your credit is shaky as some banks pull credit reports to open accounts. A credit bureau report or a checking account report from ChexSystems, Early Warning Services or Telecheck could be pulled. Question: Thank you so much for your information regarding this process and options. I find myself in a unique situation my wife attempted to open an account and they pulled her report and denied her, but the institution they stated is not on her report which we pulled 6 months after. How do we dispute the inquiry because the account verbally mentioned as the reason for the denial is not on the report? Do we dispute the inquiry or dispute what method used to make the decision for the denial? This same situation exists for myself, my Chex systems record has nothing on it yet I’ve been denied from opening an account. Is it possible they are using the credit report to make these decisions and how would we overcome that? I know a lot of questions. I’ve tried to research this odd situation but have not found a correct way to address this. Thank you if you can assist. Banks use some type of credit reporting agency to make a determination about opening a new account. Running a history on your banking habits is the way banks learn about your financial past. When you apply for a checking or savings account banks look into your financial history using one or more credit reporting agencies. The typical credit reporting agencies used by banks and credit unions is: Chexsystems, Early Warning Services (EWS), Telecheck or some banks will run a credit check from one of the major credit bureaus (like Equifax, TransUnion, and Experian). ChexSystems is the most common credit reporting agency used by banks. But it really depends on the bank. Negative information on ChexSystems remains for 5 years while negative information on EWS, Telecheck or a major credit bureau can remain for 7 years. If a ChexSystems report was used to deny you and your wife a bank account, it could be the case that the negative entry was removed within the 6-month timeframe of you reviewing the ChexSystems report. Checking account reports typically contain information reported by banks and credit unions about problems customers had with managing their accounts. When a bank denies you due to a credit check or information reported by your previous bank or credit unions you should receive a copy of the adverse action notice from the bank or credit union. The adverse action notice contains the name and contact information of the checking account reporting company that provided the information used in the denial. You are entitled to an adverse action notice under the rules of the Fair Credit Reporting Act. Whether the credit reporting agency used was ChexSystems, EWS, Telecheck or a credit report, you are entitled to a notice that includes the name of the bank or credit union that provided the negative information. Your ChexSystems bank history could be totally clean, which is what you want. But, if you’ve been applying for checking accounts at banks that use ChexSystems, you can be denied for having too many ChexSystems inquiries. Banks vary in how many ChexSystems inquiries is acceptable. While some banks only consider your most recent inquiries, some banks are very sensitive to the total amount of ChexSystems inquiries. A lot of inquiries in a short period of time can raise flags in ChexSystems. How to dispute an error in a checking account report? Because companies that provide checking account reports to banks are considered consumer reporting agencies, they must comply with the federal Fair Credit Reporting Act (FCRA). This means they must take steps to assure that the information they provide to the banks is accurate, and they can’t include most negative information that’s more than 7 years old. ChexSystems is an exception, they only contain negative information for 5 years. In order to dispute the decision by the bank to deny you an account, you would have to know what credit reporting agency was used in making their decision. I understand you say the bank verbally informed you of the bank which played a part in their decision but you should have received a letter stating the credit reporting agency that provided the information. Once you determine which agency provided the negative information you have the right to dispute incorrect information with both the checking account reporting company and with the bank or credit union who supplied that information. The checking account reporting companies must work with the banks and credit unions to investigate the disputes within 30 days of receiving the dispute. If the banks do not reply to the dispute they must remove the negative information. Or, if errors are found, they are required to update that information. Here are tips to dispute ChexSystems, dispute EWS or dispute Telecheck. When a bank or credit union runs a credit check to open accounts it involves a bit more than simply verifying your identity. We know proper identification could should be sufficient for identity verification but banks know credit checks reveal all types of information. Banks and credit unions using credit reports to open accounts could be looking for bankruptcy, fraud or identity theft on an applicant’s credit report. It may seem odd that banks check your credit report but for some consumers, mismanaging a checking account could become a credit report issue. 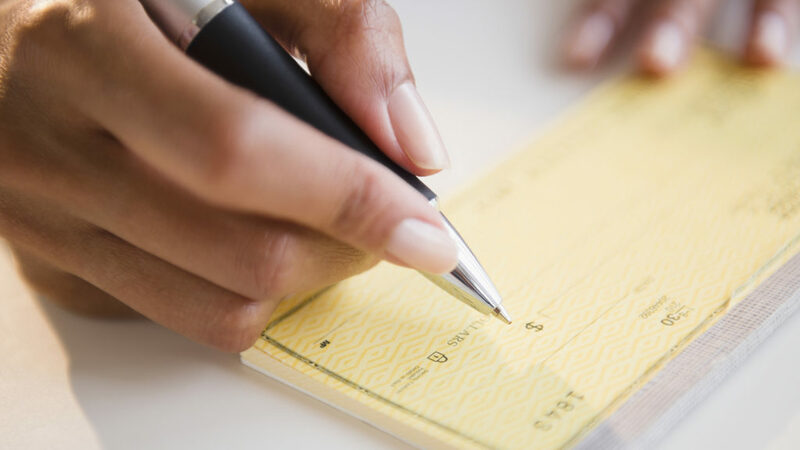 For instance, if a bank customer regularly bounces checks written to utility companies, grocery or retail stores, those unpaid bills due to returned checks can be sent to collection agencies which could eventually show up on your credit reports. Step 1. Order your checking reports and your credit reports to see what bank reported you. Or, go the bank that denied you to request an Adverse Action Notice or Disclosure Notice explaining why they could not open an account. You should have received more than a “verbal” disclosure telling you what bank reported negative information. Step 2. Once you find out what is reporting then you may have grounds to dispute it based on an error or inaccurate information. Or, you could dispute directly to the bank requesting they remove the negative information based upon mistakes, errors or inaccuracies. Step 3. If the bank refuses to remove the information try appealing to an upper management decision maker like a VP or CEO. Request a removal based on goodwill. • Does not use credit reports to open accounts. Your options to open a new checking account could be an online checking account for bad credit. You can get a checking account despite a negative account history and being denied based on a credit check. BBVA offers an online checking account for bad credit but you must first apply for their regular checking account. If you are denied the regular checking account, they offer what is called “Easy Checking” which is a type of second chance checking account. BBVA runs a credit report but for the most part does not hold negative information against you unless you owe them money. Now they may not open a regular, free checking account but instead offer a second chance account if you do not qualify for the regular checking account. You must first apply for the ClearConnect Free Checking Account, then if not qualified, you will be offered their second chance account that has a $13.95 monthly maintenance fee. The good news is that after 12 months you can upgrade to the regular, free checking account. Here are additional banks that offer 2nd Chance Checking Accounts Online. You may want to contact them before applying to ensure the Second Chance Checking Program still exists.